The exploitation of Power Ultrasound provides an innovative, clean and effective technological opportunity for breaking foams. The PUSONICS ultrasonic defoaming system (UDS) is an innovative and sustainable device which allows to significantly reduce foaming problems without contaminating the treated product. The AUS defoaming ability is considerably stronger when the foam to break is dry, characterized by large bubbles, and by low viscosity. With dry or airy foams the ultrasonic effect is very rapid and the defoaming volume may actually be larger. Example of dry foam are found in Seafood processing, Food processing in brines, Beer fermenters, Filling lines of beverage, gasoil, pharma products etc. High intense ultrasonic waves are a clean and efficient procedure to break foam bubbles. The airborne ultrasonic defoamer is an electro-acoustic device capable of generating ultrasonic waves of high intensity which efficiently break foam bubbles without contaminating the treated solution. Hence, the ultrasonic system is not in direct contact with the multiphase fluid whilst in operation. The mechanism of ultrasonic defoaming is a combination of the following effects: high acoustic pressure, radiation pressure, resonance of bubbles and acoustic streaming. Other factors, such as the atomization of the bubble surface, may also contribute to foam rupture. The effectiveness of high-power ultrasonics in defoaming has been previously investigated at laboratory stage. Nevertheless, until now, there were no ultrasonic defoaming systems commercially available. 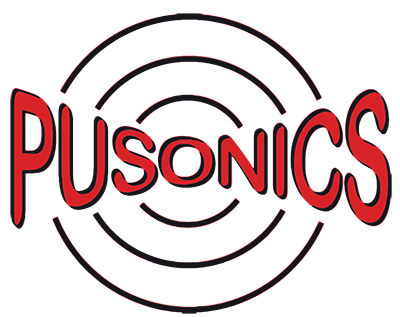 The technology for ultrasonic defoaming commercialised by PUSONICS is based on a new type of power airborne ultrasonic generator. Such a generator is constituted by a piezoelectric power transducer driving a specially designed plate radiator, and the electronics to drive and control the tuned assembly. This novel ultrasonic generator produces highly focused radiation in such a way that levels of acoustic pressure higher than 170 dB may be achieved at a focal area. The Ultrasonic Defoaming System (UDS) is a powerful and compact device which does not interfere in the process; it can be easily sterilized and fulfils industrial requirements. G. Rodríguez-Corral, J .A. Gallego-Juárez, E. Riera, V. M. Acosta, A. Blanco-Blanco, “Experimental study for defoaming by air-borne power ultrasonic technology”, International Congress on Ultrasound, 11-17 January 2009, Santiago de Chile, Physics Procedia, vol. 3, issue 1, January 2010, pp. 135-139. A. Cardoni, “A novel commercial system to break foams using power ultrasound” Ultrasonic Industry Association Symposium, University of Glasgow, Glasgow, UK, May 2011. · J. A. Gallego-Juárez, G. Rodríguez, Víctor Acosta, E. Riera, “Power ultrasonic transducers with extensive radiators for industrial processing”, Ultrasonic Sonochemistry, 17, (2010) 953-964, (doi: 10.1016/j.ultsonch2009.11.006).